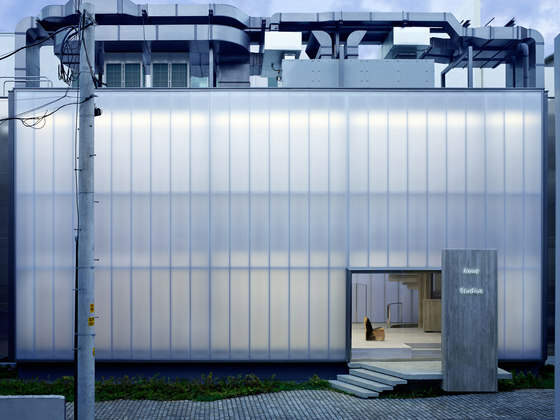 Acne Studios opens its first flagship store in Korea, designed by acclaimed architect Sophie Hicks Seoul has a highly distinctive character. The narrow, winding side streets of Gangnam and Cheongdam house some of the most exclusive shops in the South Korean capital. 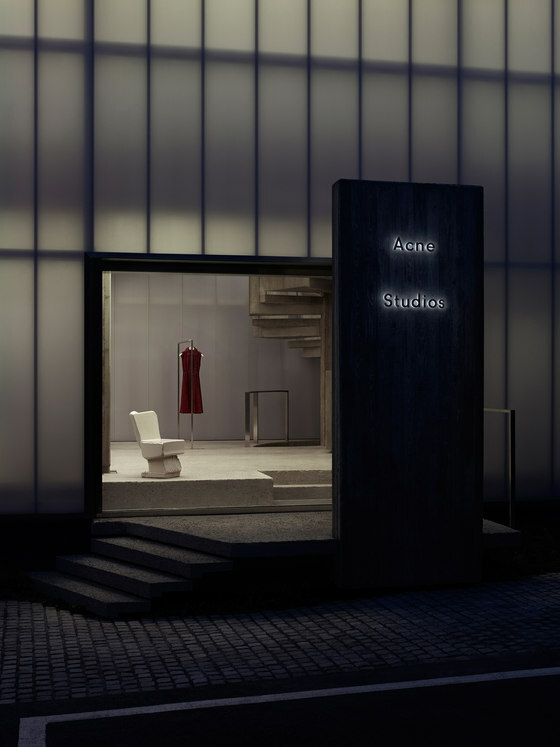 It is in this setting that Acne Studios unveils its new flagship store on 19 September 2015. “With our architect Sophie Hicks in London, our partner Shinsegae in Seoul and our HQ in Stockholm, it certainly has not been an easy process to build this house together from scratch. 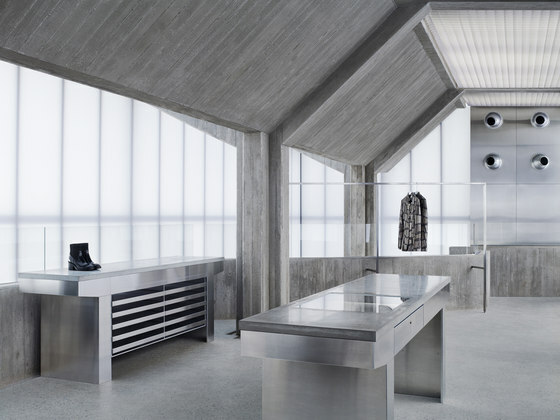 That said, I think we are all very proud and excited about the result.” Mikael Schiller, Chairman Acne Studios. The standalone building plays with the contrast between modest discretion and forceful attitude. Viewed from the outside it is a restrained and elegant lightbox. Once inside, the visitor finds that the box conceals a heavy, concrete structure consisting of four pairs of columns holding up the roof and upper floor. A floating concrete staircase winds around one of the columns. The concrete will bear the imprint of rough timber, and the collections will be shown against softly reflective metal walls, freestanding in the open space. Juxtaposing the concrete and steel, the building sits on vegetation typically found in the Swedish archipelago: including, of course, wild strawberries. 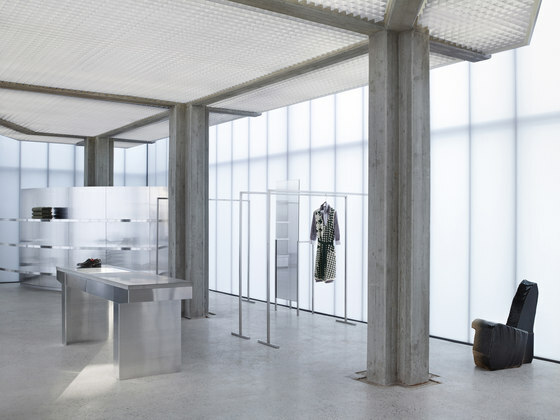 The Acne Studios Cheongdam store occupies 230 sqm and will carry men’s and women’s ready-to-wear and denim as well as accessories and footwear. In addition, a specially designed limited edition unisex sweater will be sold exclusively in store to celebrate the opening. 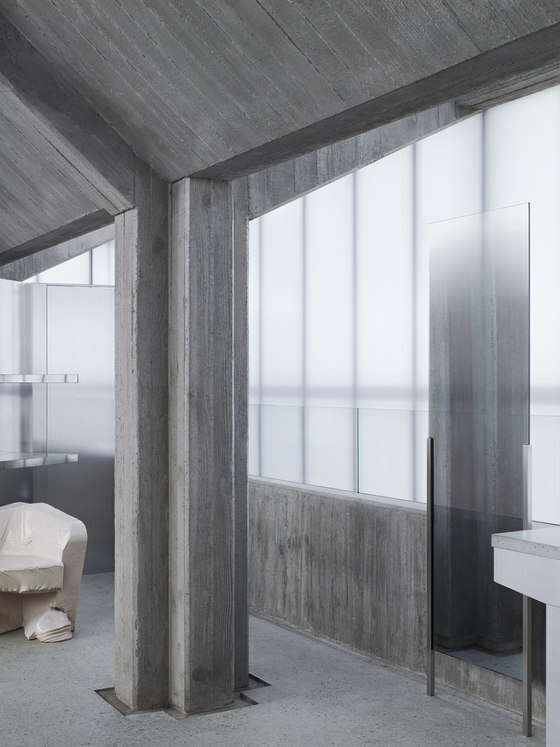 Sophie Hicks Architects shares Acne Studios’ involvement both in the art world as well as in fashion. Earlier commissions include designing a number of museum exhibitions at the Royal Academy in London.